The Reverend the editor the activist these are titles that we well should make note off and keep to the fore. As I relate the history centered around the life of several of our black brothers. Charles Vinton Monk was born in America he was a clergyman and journalist and was commissioned to Bermuda from Philadelphia toward the end of the 19th. century to take a post at the African Methodist Episcopal Church in Somerset Bermuda. He found a vibrant black community but to his amazement realized upon his arrival that there was an absence of Secondary Schools for black children. He was also confronted with the ill-treatment of black workers in the Island especially the workers in the Dockyard. The dock yard extension was a part of the modernisation of the Royal Navy in the arms race with Germany before the first world war. C.H Walker and Company was awarded the contract which was worth more than 600.00.00 pounds. Workers for this project was initially imported from Italy along with their families. This didn’t last long as the workers were working under poor conditions and very little pay and after rioting about these conditions were sent back home . It was then decided to import workers from Jamaica both male and female to complete the work. Condition didn’t change and in June 21 1902 Ireland Island once again witnessed riots against working and living conditions. Reverend Monk noticed this unrest and the imprisonment of several of the Jamaicans. Eight of which were deemed ringleaders and were jailed for six months under the speedy trails Act 1901. This also lead to the passing of the Riot Act. On seeing these injustices and deaths of two of the workers Reverend Monk who had founded a vibrant black press in Bermuda established his own news paper ‘The New Era’ He wrote about racism and accused the oligarchy of being unjust. The church and black press were the platforms he worked from and the foremost channels he used in fighting racism and economic exploitation. Reverend Monk was more than qualified to handle the many problems crying out for redress. He wrote an article calling for better working conditions and blamed the deaths on C.H. Walker & Company. The Company retaliated and filed a charge of defamatory libel against Monk. Reverend continued to write against the injustice and this gave the Attorney general Reginald Gray a reason to charge Rev. Monk with criminal libel. He was labeled a trouble maker and people shuttered at the sound of the name of Charles Vinton Monk. They made an example of Monk and set a date for a trial. Monk had difficulty finding any legal Council here in Bermuda. The West Indian Company and some other country men were sympathetic to his plight and organized to bring a top lawyer from the West Indies. Mr. Matthew Henry Spencer Joseph. The legal counsel was denied and Monk was forced to defend himself. The trial began March 20th 1903. It was like a billy-goat court and Reverend knew he had little chance as the presiding judge for the case was Chief Justice Sir Brownlow Gray, cousin to Justice Gray the Hon. R. D Darrell and the Attorney General and persecutor Sir Reginald Gray son of Sir Brownlow. The documents of the trial included the indictment,Rev. Monk’s not guilty plea, workers’ pay envelopes, a list of exhibits of Jurors etc. It was a very revealing trail. In the interim we must always be aware that persons of the white race was not allowed to help the blacks in any way if discovered they were vilified and forced to leave the Island. 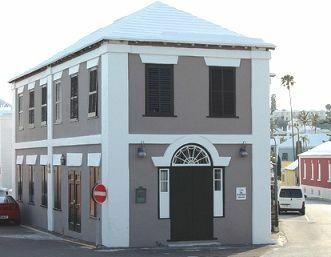 Such was the case of Reverend Goldring who arrived here in Bermuda and displayed sympathy toward the black population. Reverend Monk was very aware what he was up against and after six years in Bermuda at the end of his tenure because he was so out spoken about the injustice and fair play he was forced to leave Bermuda. Monk married a Bermudian Fannie Parker and of that union he had six children 3 girls and 3 boys. He had one Bermudian daughter named Sarah she was an infant in her mothers arms when they left Bermuda. Reverend Monk died at age 74 in Philadelphia. The injustices toward our black brother never seems to end. The footprints that followed left many a bloody trail and tear streaked paths for black brothers to follow and fight for right. Black brothers like Roosevelt Browne (Pauulo kamarekfago) who fought for equal voting rights was band from the house of assembly and his life threaten so he spent much of his life out of Bermuda. The Reverend John Brandon an american stationed in an AME church in Bermuda and Foster added their voices to the unjust treatment of the black race their stay here was not long. Dr. Clarence James who worked with the establishment served as a politician of the white UBP. In spite of the fact that he had been over looked numerous times after achieving his degree in the medical field as a surgeon was eventually bought to Bermuda only because they ran out of rotation doctors to fill a position at the King Edward Memorial Hospital . The treatment of Dr. Ewart F Browne was no different. Canon Thomas Nisbett had his challenges too along with Julian Hall and recently the Reverend Nichalos G. Tweed and many more. The fight will continue even though we hear the words we must work together to make this Island a better place. If one only steps in the black footprints and the white counter part side step in double dutch and continues to move the goal post the issues and injustices in the Island will continue. When we decide to put our shoulders to the wheel and say he ain’t heavy he’s my brother, she ain’t heavy she’s my sister, ain’t we all Gods children striving for the same things? 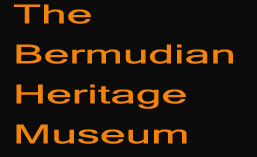 Equal rights, love, understanding and peace in a place where we should not be ashamed to say I’m proud to be a Bermudian. Photos Canon Thomas Nisbett served as chaplain to Bermudas’ Governor.Julian Hall one of Bermudas’ best criminal lawyers. Dr. Ewart Browne former Premier of Progressive Labour Party. Rev. Nichalos G. Tweed Serving Pastor of St. Paul African Methodist Church and member of the People’s campaign. Rev. Monk and Lawyer Spencer-Thomas. ref. Mari-Time Journal Monk, I.P.Philip Mazambo (interview (Lest We forget ) by J.W-Tucker).